We were delighted to receive a call for help from Reception Teacher Mrs Platten at Henry Bloom Noble Primary School in Douglas, who was looking to brighten up the important outside learning environment for the children, starting with getting all the walls painted a brilliant white. Mrs Platten has promised to share a picture of the finished area and the mushroom table with our Facebook page when it’s complete. 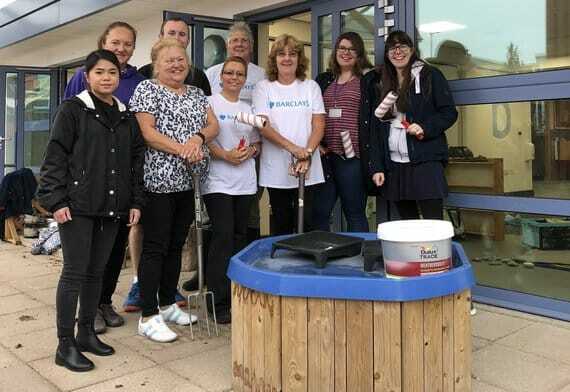 Pictured with Mrs Platten (far right) is one of the great teams from Barclays who regularly donate time in the community through their 'Make a difference days' and had offered to help with the painting and some gardening work.